Thanks for the sample. I am just coming off my high from The Come Up so I needed something else to look forward to. 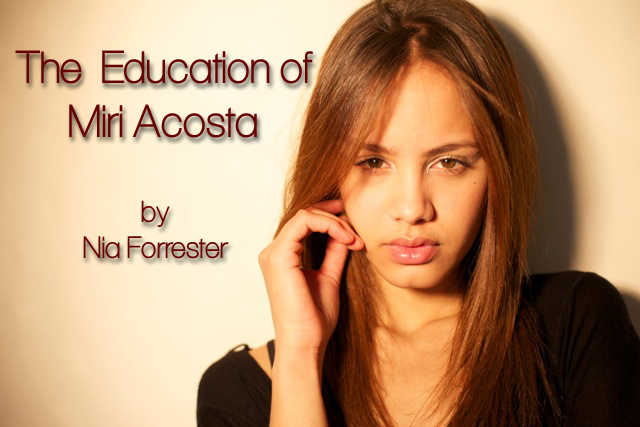 I love the Acosta family so you know I am excited to here about the youngest coming of age. I would love to be able to read this before July. NO PRESSURE THOUGH!!!!! just throwing my thoughts and wishes out there. I would love to be able to give it to you before July as well, Katrina. Working on it! I look forward to checking in with the Acosta family. Thanks Nia… excited for Miri.. Very excited, soooo looking forward to Miri’s education; I enjoyed her in Dylan’s. In the meantime, I will read THE EDUCATION OF DYLAN ACOSTA for my 3rd cover to cover read (I won’t count the timeS I thumbed through reading my favorite parts). Nia, I enjoy and appreciate all your books, big THANK YOU!! That made me smile. Thanks TL!